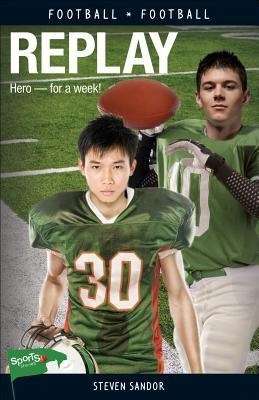 Growing up above his parents’ Chinese family restaurant in a small town, Warren Chen has always dreamed of being a football star. At ninety pounds and five feet tall, he’s not exactly built like a linebacker, but even short kids from tiny towns have big dreams. At first the coach is reluctant to even let him try out, but soon he sees Warren’s strengths–he is small and slippery, and no one can catch him. Warren is named the team’s new running back. In their first game of the season, Warren and the team face their biggest rivals. With a breathtaking dash along the sideline, Warren reaches the end zone to score the game-winning touchdown–almost. But Warren celebrates anyway, and the referee buys it. The losing streak is broken, and Warren has proven himself worthy to be on the team, a genuine football star! But he knows it’s not quite the truth and that sooner or later, someone will find out. Warren has to decide whether to come clean and cost his school the victory, or continue living the small-town football dream.